Buying a car in Fernie - What a pleasure! One of Fernie’s challenges is that there is no Public transport system. The ski hill and our house is a few kilometers from town in different directions. So we decided the best solution would be to buy a car. It ended being much easier than I thought. When we were in Fernie in September we stopped at the Fernie dealership in town to have a look at what second hand (pre-owned, as they call it here) cars would cost. While looking around one of the sales guys came walking out. He started to enquire about our needs and I reluctantly started to tell him our story. I have never enjoyed a hard sell approach, and Hal (the sales guy) handled it really well. I took his card and started to do some research when we got back to the hotel. It looked like it was possible to get a rental for 5 month but that would be more expensive than buying, using and then selling a car. It was very noticeable that the favourite type of car in town was pickup trucks. I am not sure if that is because it is really a mining town or more as a result of the hectic winter conditions. It seemed like a good idea for us to get a 4 x 4 for the worst of the winter storms. I also asked a few question around getting the car insured. They suggested I talk to the local broker, but also mentioned that I needed to get my claims history for the last 8 years to minimize my insurance. Back in South Africa I tried to get information out of the broker in Fernie, but never got any response out of them. After a few attempts Hal referred me to another broker in Cranbrook named Ari Kupritz (Brothers Insurance Agency). Ari was actually born in South Africa, their family moved to Canada when he was 3. He had helped other foreigners before and was very helpful and answered all my questions. Hal had also offered to fetch us from the airport in Calgary when we arrived. I am not sure if he realized what he was letting himself in for, because between the 5 of us we had 9 huge pieces of check-in luggage and another 7 carry-on. But somehow we fitted it all into the minivan. After dropping everybody off at the house, Hal and I headed to the dealership to make the final pick of the truck we would take, do the paperwork and process the payment. 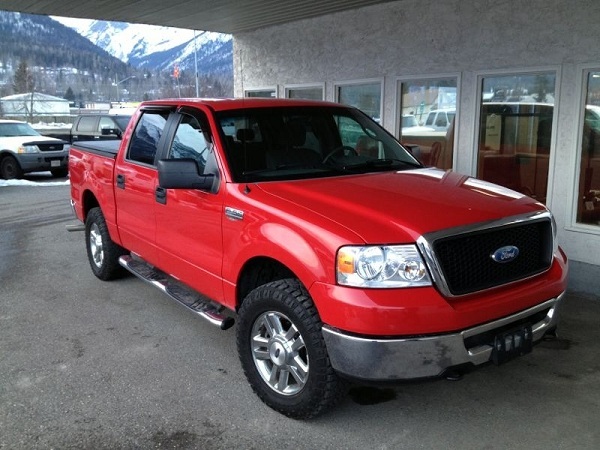 The choice was simple and we decided on a 2006 Ford truck with about 90 000 km on. Paperwork was quickly done, although I forgot that all prices here exclude sales tax (ouch). When we finally tried to process the payment we needed to call the green bank back in SA, they just said their system is offline and we needed to try again in an hour (this after I prepared them for the transaction twice). It was already too late, so we decided to try again in the morning when it was daytime in SA, since the registration could also only happen the next day. The guys at Ford gave me a loan minivan for the night and I headed back home. The next morning the payment went through straight away and the Hal agreed to go with me to Cranbrook to do the insurance and registration. I did not realize that both those would be done with the insurance company, and in about 5 min the car was registered, licenced and insured. All done with Brothers Insurance, it was really easy and efficient. 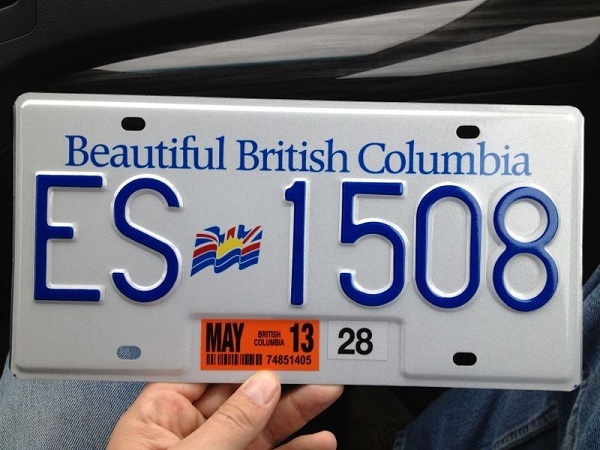 I even had brand new licences plate to go with it. It was very interesting that it could all happen without dealing with any government department. The insurance is also tied to the license plate, and is done mostly on an annual basis not monthly like in SA. I did manage to get my claims history and it saved me about 40% on the insurance. Buying a car in Fernie turned out to be much easier than I thought, and so far it is driving like a dream. Hopefully everything else will go as smoothly over here. Thanks to Hal and the other guys at Fernie Ford for the help, and Ari for helping with the insurance. I hope everybody we deal with is as helpful. This entry was posted in Fernie, Settling in on 2012/12/05 by Justinus.